Razer, a brand known for its lifestyle gaming products, has jumped into the smartphone market with its first offering. Dubbed Razer Phone, the smartphone is a flagship-grade model that promises to deliver the most engaging gaming experience on the market. 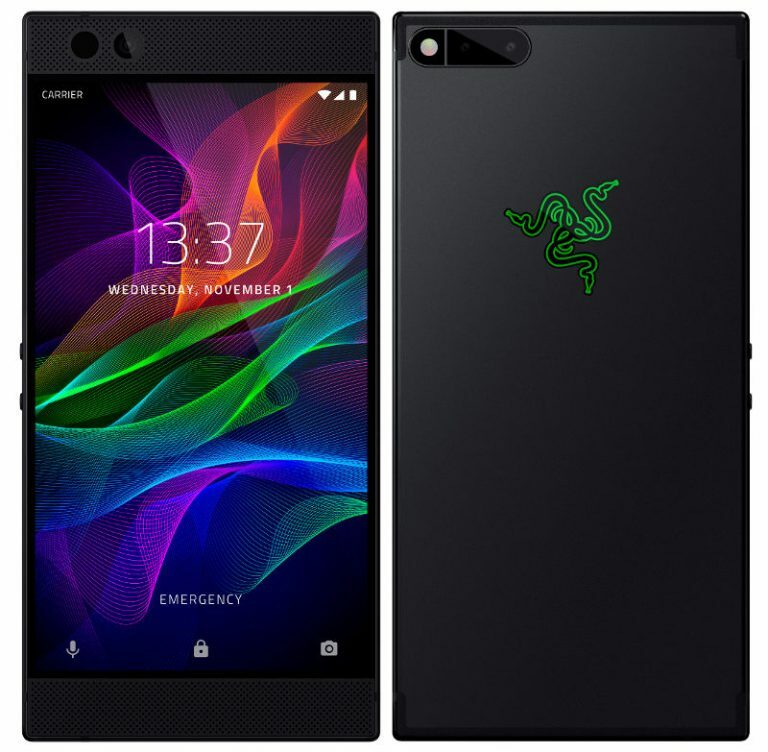 In terms of design, the Razer Phone is reminiscent of the Nextbit Robin, the cloud-first smartphone from 2015. That’s not very surprising, as the Razer Phone is actually designed and developed by the Nextbit team. The startup was acquired by Razer earlier this year. As you can see in the image below, the Razer Phone has very large bezels on the top and bottom, unlike most other flagships released this year. Part of the reason why they are so large is that Razer Phone features dual front-facing stereo speakers. Both the speakers in fact have their own dedicated amplifier and are certified by THX. Razer is claiming that the speakers are the loudest on a smartphone yet. However, the smartphone doesn’t include a 3.5mm headphone jack, so you will need to carry around a USB-C to 3.5mm headphone jack adapter. Now let’s talk about the display. The Razer Phone features a 5.7-inch 1440 x 2560 Quad HD IGZO LCD UltraMotion display with 120 Hz refresh rate and a wide colour gamut. Razer has assured that the high refresh rate will have no impact on the battery life. Speaking of battery life, the Razer Phone features a large 4000mAh capacity battery, so you should be able to play games for long hours without having to worry about the battery running out. Under the hood, Razer Phone is powered by Qualcomm’s octa-core Snapdragon 835 chipset, paired with a whopping 8GB of RAM. In terms of storage, the smartphone includes 64GB of native storage, which can be expanded further with a microSD card slot. In the camera department, the smartphone sports a dual-camera setup at the rear, featuring two 12-megapixel sensors. On the front is an 8MP snapper for selfies and video calls. As for software, the smartphone will ship with the Android 7.1.1 Nougat operating system out of the box. An update to Android 8.0 Oreo is expected to be rolled out in the first quarter of 2018. The Razer Phone will be available November 17th onwards from the Razer online store for $699 unlocked. Pre-orders for the smartphone start tomorrow, i.e. November 3. If you live in the US, you will be able to purchase it from Microsoft stores as well. In the UK, Three has confirmed that it will be selling the handset soon. In the coming weeks, Razer is expected to unveil a special limited edition of the smartphone with a green logo at the back.